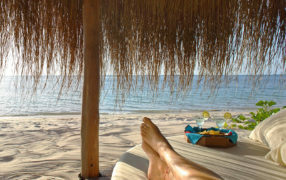 Incredible package deals and specials to Azura Benguerra Island. Our number one choice of the Bazaruto beach resorts get in touch today to plan your dream holiday to Mozambique. 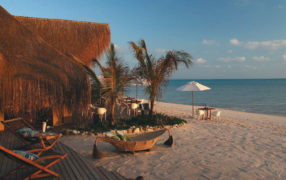 Incredible value-for-money Mozambique holiday package that is aimed at South Africans. Fantastic savings on offer, including free helicopter transfers. South African families can enjoy luxury on a pristine beach environment at affordable prices. Two kids under 16 years stay free when sharing with adults. Bush and Beach safari! Enjoy your days lounging at the pool, relaxing at the spa or doing a guided nature walk or game drive. 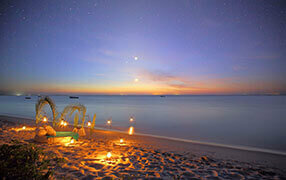 Book this fantastic Sabi and Beach combination – 4 nights at Lion Sands and 4 at Azura Benguerra Island Mozambique. FREE night to Azura! Five nights is just never enough at Azura Benguerra. Stay longer with this crazy free night offer on us! The pearl of the Bazaruto Archipelago. Delight in a safari to Londolozi enjoying game drives and walking safaris. Cool off in the Bazaruto Archipelago at Azura Benguerra in a villa just steps from the beach. Best seller Bush and Beach Safari 2019. We bring you the ultimate bush and beach luxury combo with Royal Malewane in the Kruger National Park and Azura Benguerra in the Bazaruto Archipelago. From the dry bushveld to the breezy island archipelago, a fantastic holiday break will be had by all. 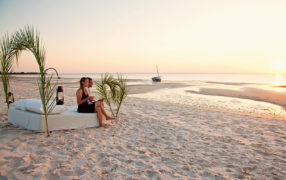 Stay 7 nights or more and your partner stays for FREE with this incredible holiday package to the Bazaruto Archipelago. Selling out fast so don’t delay for this Azura Benguerra deal of the year!